A man who was sentenced to seven years in jail for punching a police officer died earlier this month while in sheriff’s custody, according to authorities. SAN DIEGO (NEWS 8/CNS) — A man who was sentenced to seven years in jail for punching a police officer died earlier this month while in sheriff’s custody, according to authorities. The San Diego County Medical Examiner’s Office has ruled the preliminary manner of death as suicide, according to a report from sheriffs on Monday. 39-year-old Frederick Jefferson died while being housed at the George Bailey Detention Facility, according to the sheriff's department. Following an autopsy the medical examiner’s preliminary findings show Jefferson's cause of death was hanging and the preliminary manner of death, suicide. 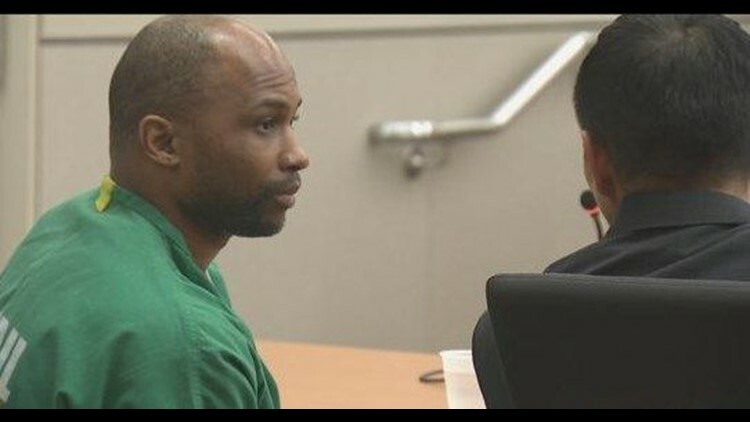 Jefferson was sentenced last month to seven years in state prison for punching a San Diego police officer in the face. The incident occurred at a rally at Chicano Park in February. Deputy District Attorney Michael Reilly said Jefferson was "defiant" when Officers Matthew Ruggiero and Justin Tennebaum gave him a simple command to walk on the sidewalk near where two rival groups were rallying in the park the morning of Feb. 3. The prosecutor said Jefferson reacted suddenly and violently when the officers got out of their patrol car and tried to grab the defendant's arms and move him out of the street. Reilly said Ruggiero pulled out his police baton but didn't use it on Jefferson until the defendant started swinging at him. Ruggiero, who suffered a fractured nose and cheekbone in the assault, spoke to the defendant during the sentencing hearing, describing him as an "irate, violent person" who changed the officer's life forever. "He destroyed my face with a single punch," Ruggiero told Judge Leo Valentine Jr. The defendant, for his part, contended that he had acted in self-defense. Jefferson was reportedly alone in a secured cell at the time of his death on Sept. 1. He was found unresponsive by deputies who attempted first aid before being relieved by paramedics. Despite lifesaving efforts Jefferson died. The medical examiner’s office personnel said they have worked to notify Jefferson’s next of kin but have been unable to locate them.